B&H Photo Video today has a live stream event for recently released Sony a7R III full frame mirrorless camera. The live event will begin at 12:30pm ET. You can watch the full video above. Sony a7R III Pixel Shift Mode Has Over 1 Stop Dynamic Range Increased ! 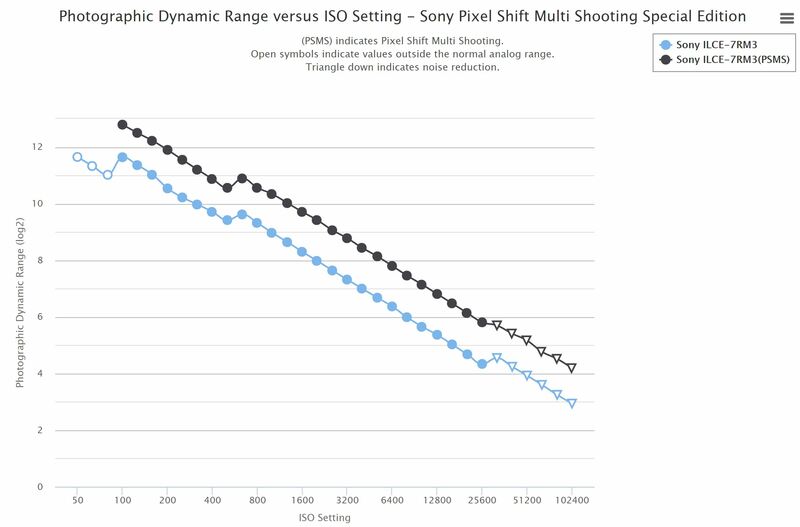 According to Photons to Photos, they posted a special edition chart for the new Sony a7R III‘s pixel shift mode compared to regular a7R III chart. 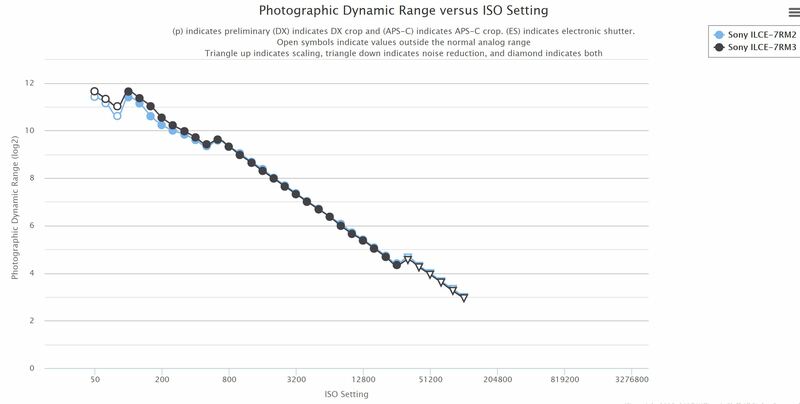 In pixel shift mode, a7R III has over one stop overall dynamic range increased. Author adminPosted on November 29, 2017 November 29, 2017 Categories Sony E-mount CameraTags Dynamic Range, Sony a7R III Bundle Deals/Cheapest PriceLeave a comment on Sony a7R III Pixel Shift Mode Has Over 1 Stop Dynamic Range Increased ! Some readers reported that their pre-orders of Sony a7R III at Amazon US now already shipping. 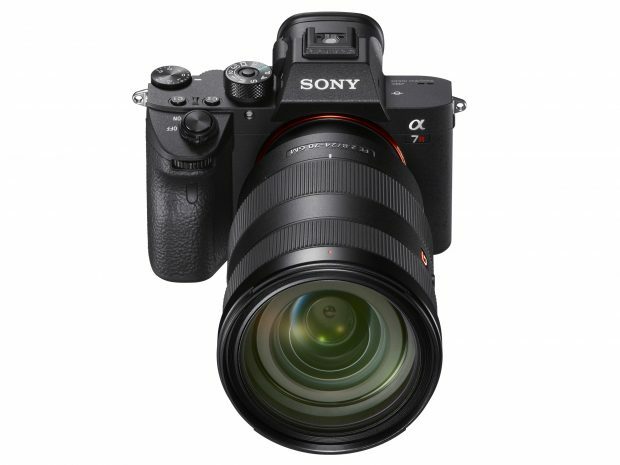 The official release date for Sony a7R III is on November 30th, 2017. Author adminPosted on November 29, 2017 November 29, 2017 Categories Sony E-mount CameraTags In Stock, Pre-order, Shipping, Sony a7R III Bundle Deals/Cheapest PriceLeave a comment on Sony a7R III Already Shipping at Amazon US ! 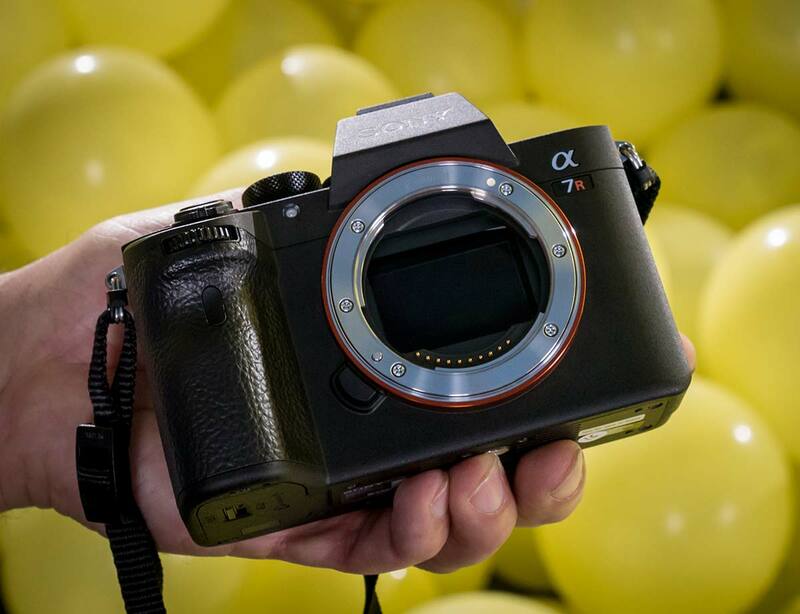 DxOMark has just tested the new Sony a7R III‘s (Amazon/B&H Photo/Adorama/Focus Camera) image sensor today. 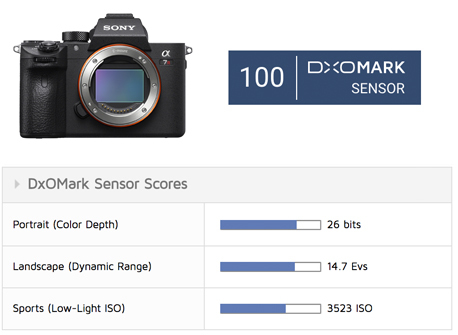 According to the test result, a7R III sensor score is same as currently best DSLR camera Nikon D850‘s sensor. Both are scored for 100. 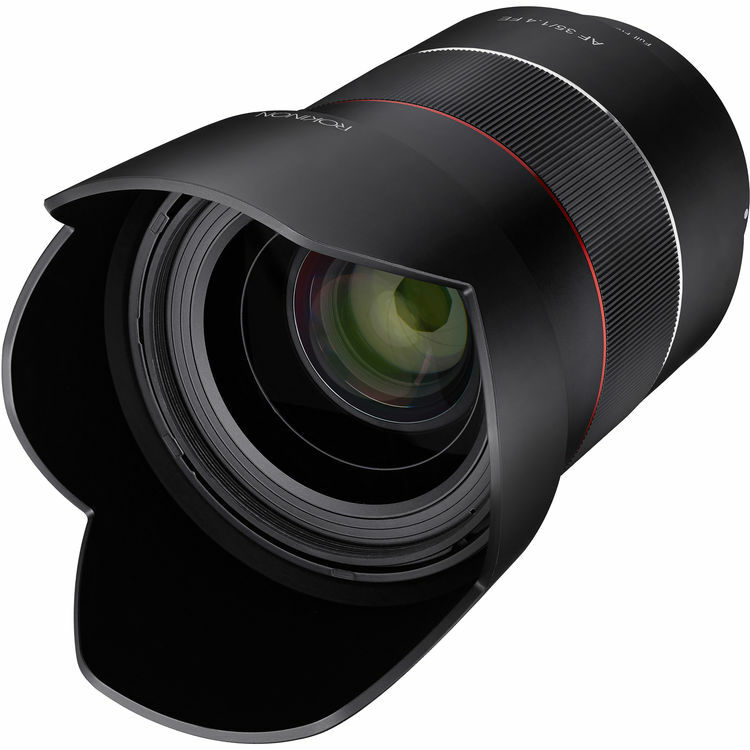 The new released Rokinon AF 35mm f/1.4 FE Lens (Amazon/B&H Photo/Adorama) for Sony full frame mirrorless cameras is a cheap lens compared to Sony Zeiss FE 35mm f/1.4 lens. So how is image quality compared to Sony Zeiss FE 35mm f/1.4 lens? You can watch these video comparison here. KEH Camera has released their Black Friday sale on their best selling Used cameras and lenses today. You can use promo code “BF17A” at checkout to get 25% off featured products and 10% off everything else. Currently, there are a lot of great deals available online. This Black Friday sale starts now, and and runs through Sunday, 11/26. The new announced Sony a7R III (Amazon/B&H Photo/Adorama/Focus Camera) now reviewed by dpreview, according to dpreview overall score, Sony a7R III is the second best camera just after Nikon D500, same score as a7R II and Nikon D750.